SLALOM is the small ride-on sweeper designed for cleaning particularly awkward areas with narrow passages with agility. Its compact dimensions allow it to pass through doors and lifts of just 80 cm width. 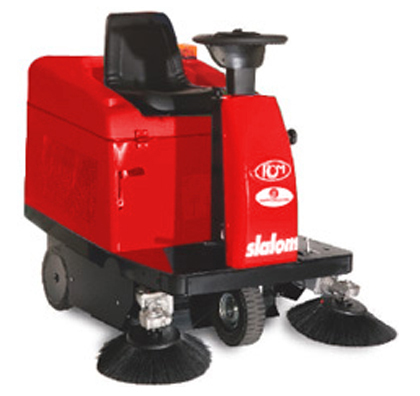 With the optional Kit Carpet, Slalom can brush carpet surfaces quickly. It is cheap to buy and maintain, but does not impose limits for use thanks to its strong and reliable construction.